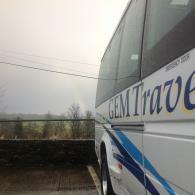 GEM Travel is a family run Minibus and Coach Hire business located in Tanfield Lea, County Durham. We are dedicated in providing a reliable and friendly service for all your travel needs for both local and national travel. 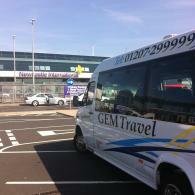 We offer a range of minibuses and coaches catering for all your people moving solutions. 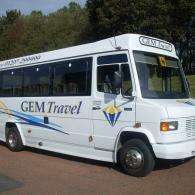 GEM Travel have a team of reliable and well presented drivers who have many years experience in bus and coach driving. All our drivers hold current advanced CRB checks. All our Minibuses and Coaches are fitted with forward facing seats and have seat belts fitted, all vehicles are maintained to VOSA (Vehicle & Operator Services Agency) standards. 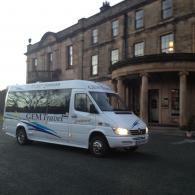 We can provide you with a minibus or coach with seating from 10 to 57 seats available. We can provide either a standard minibus or luxury minicoach with additional features which include front entry with courtesy step to help access, boot, lugguage racks, fresh air blowers and reading lights, large panoramic windows. We can cater for larger group travellers with our 24 seater minibuses and can provide larger executive coaches with upto 57seats featuring lugguage racks, fresh air blowers with rack night lights, coffee and tea facilities and W/C. Site designed by Zak Patrick Ltd.